Can you say angry? If not, read Alveda King's press release entitled, "Different Year, Same Lies from Planned Parenthood about Dr. Martin Luther King, Jr." In the press release, Dr. Alveda King, full-time director of African American Outreach for Priests for Life, objects to Planned Parenthood's latest statements that imply that Dr. Martin Luther King Jr. would support the organization's agenda. "Sometimes I wonder if Planned Parenthood will ever get tired of lying about my Uncle Martin," said King, "and then I remind myself that a business built on the lie that a baby isn’t a baby is a stranger to the truth. Just to be clear one more time, there’s no way Dr. Martin Luther King Jr., were he alive today, would support an organization that has helped destroy one-quarter of the African-American population." Alveda King helped contribute to that number, since she has admitted to having two abortions herself, which would make her a hypocrite. King went on to lambaste the organization for purporting that a man who believed in abstinence before marriage would support abortion. "When my Uncle Martin was alive, Planned Parenthood had not yet mutated 'reproductive rights' into child killing. Today Dr. Martin Luther King Jr. would find Planned Parenthood’s agenda repugnant." We suppose she hasn't read Dr. King's speech, which was delivered by her aunt Coretta Scott King when he was awarded the Planned Parenthood Foundation Margaret Sanger Award in 1966, in which he states, "There is no human circumstance more tragic than the persisting existence of a harmful condition for which a remedy is readily available. Family planning, to relate population to world resources, is possible, practical and necessary. Unlike plagues of the dark ages or contemporary diseases we do not yet understand, the modern plague of overpopulation is soluble by means we have discovered and with resources we possess." Alveda King could make the argument that MLK wouldn't support many of the reasons people have abortions, but to say he wouldn't support reproductive rights is a stretch. 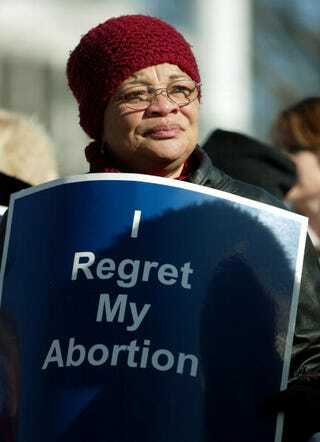 Read more about Dr. Alveda King's views on abortion at PriestsforLife.org.